Jamieson joined the Canadian Armed Forces at 16 and served for 19 years, including two tours to Afghanistan. In the Army his job was to work with local nationals developing solutions to issues faced within their communities that were a result of the wider conflict. My salesman was Jameson. His quote was competitive and he was by far the most knowledgeable of all 3 quotes I’d got. He sold me just what I wanted. A good quality high efficiency boiler for my home on Ellington dr in Scarborough. The install his guys did was top notch. They did a great job on the install and even went above and beyond and hooked up a new gas stove I’d bought and not yet connected. I’ve saved at least 100 a month since then so this combi boiler will pay for itself in no time. Now love reading the gas bills I get just to see what I saved every month. For example April 2018 I used 84% less natural gas than last year and it was 41% colder. Thanks again Jameson and Belyea Brothers! Excellent workmanship and a pleasure to deal with. Highly recommend. ust after New Years I came home to find my water tank had burst and was leaking water from my third floor down to my main floor (I live in a stacked townhouse and the water tank is on the top floor). After an evening dealing with the insurance company and cleaning up the water, I spent the next morning researching water tanks and plumbing companies. After an exhaustive search I contacted Belyea Brothers after their many positive reviews and they sent Jamieson over that afternoon. 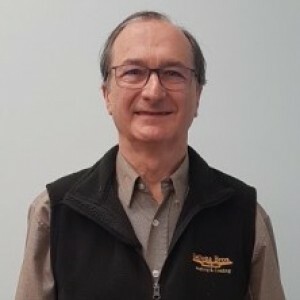 I received an e-mail from the company with Jamieson’s picture attached and he called ahead of time to let me know he was coming. He inspected the rather small space, took pictures and said he would find the best water tank for my needs (water heating and whole home heating). I had a second quote from a different company later that day that felt more like a sales pitch than a service call. Jamieson sent me the quote, allowed me to review the quote and I was happy to proceed. Less than a week after my old tank failed, my new one was installed. My husband was home for the installation and he was impressed with the service provided during installation and the technicians who did the install. I ended up being so impressed with their company I had them install pot lights for me on my main floor. I would highly recommend this company for any plumbing needs and I plan on using them in the future if or when a problem arises. 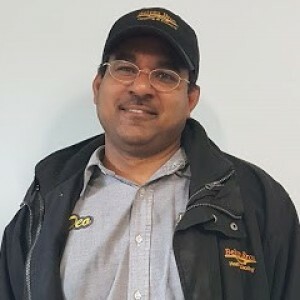 Heating and AC sales and service I have had Belyea Bros replace my furnace and AC in my 70 year old home and have serviced both for many years. I have always found them, especially Jamieson Murray to be excellent to deal with, reliable, competeent and I would not hesitate to recoimmend lthem, especially for older homes like mine. We live on Lytton Blvd. Our old furnace died 2 days before Christmas and we obviously needed to get it replaced quickly. We were very pleased and impressed with how fast Belyea was able to install our new furnace particularly given the busy time of year. Jamieson, the sales professional, was very knowledgeable and courteous as were the installation crew - Berris and Matt. We would not hesitate to recommend Belyea to others - great service! New radiators throughout the house Marco and Andrew from Belyea Bros did a great job installing another rad in our bathroom. Jameson came in to evaluate our needs. They were fast and efficient and left the place clean and tidy, plus they were very friendly. Jameson was also really helpful last year when we had 9 old dads removed and replaced. Marco was on that team and boy were they efficient. We were only without heat for 2 days. The work was done very well. The recommended floor heating has worked out perfectly. New Furnace Hello My husband and I had a new furnace installed In March 2017 by Belyea Brothers on Harewood Avenue. 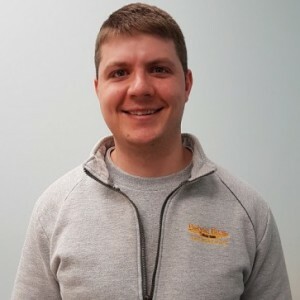 Jamieson was our rep and was very helpful in providing us information and answering our questions which helped us to decide on a furnace for us. We decided on a Daikin Furnace. DM96VC060, two stage furnace with an ECM Fan.The install was done very professionally. Everything was cleaned up when the installers left. The furnace is very quiet. A short time after the furnace was installed we heard from a friend that he also put in a Daikin Furnace and he too was very pleased with the furnace. We have not used the furnace during the cold winter months yet. We are hoping to see a reduction in our electrical bill and a reduction on our gas consumption as well over this coming winter. 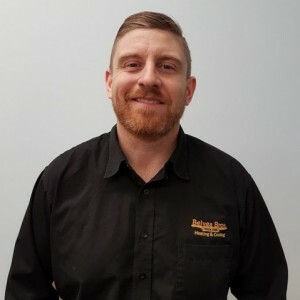 Combi boiler & water heater Jamieson Murray of Belyea Brothers provided excellent service in outlining our house and water heating options, arranging for the financing and installation of a combi boiler/water heater in our 1936 two-storey home. 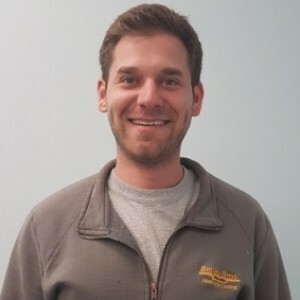 Jamieson answered all of our questions, completed a thorough and professional job for us, and will continue to be our contact for any future questions or concerns. The Belyea installation team removed our old boiler and water heater and finished their work in a fast and efficient manner. The installation of a new Daikin split system AC went very smoothly. It came on the day they promised, and we were quite relieved that the work was so careful that we didn't need to repaint the hallway. And the new AC works like a charm, even in our recent late summer heat wave. I've had dealings with Belyea for over ten years now, and they are a company that you can depend on for service as well. Jameson. You were right. Your guys were top notch. They did a fabulous job. It looks like a work of art. Nice. Neat and clean. It's a lot of money and I'm so glad I gave it to BELYEA BROS because I defiantly got my money's worth. Thank you very much for all your help. From my first contact with Chelsie to the home consultation with Jamison I have received outstanding customer service. They were very patient, cheerful and well informed...Joe is on top of everything and I look forward to meeting him and hopefully have the installation of my new furnace and air conditioner completed this week. Very quick since I only just made contact last Friday! Highly recommend.